Tiresias Duo’s first recording pays tribute to BC composers and to the Canadian composer Barbara Pentland in particular with three of her works: Trance for flute and piano; Sonata Fantasy for solo piano; and the Sonatina for solo flute. This album also includes the world premiere recordings of I conversed with you in a dream by Jocelyn Morlock; For Dreams of Things Which Cannot Be by Jennifer Butler; and Arsis and Thesis by Rodney Sharman — all commissioned by and dedicated to Tiresias Duo. 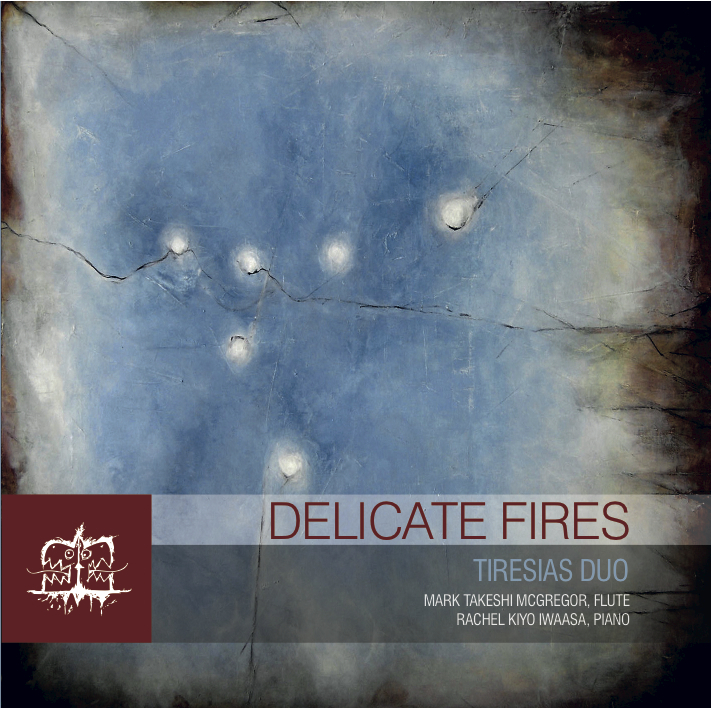 Delicate Fires was nominated for a 2008 Western Canadian Music Award (“Outstanding Classical Album”). This album was made possible with generous funding from the Pentland Fund (administered through the Canadian Music Centre) and the City of Vancouver. To hear the third movement of Jocelyn Morlock’s I conversed with you in a dream, click HERE. Delicate Fires is available through iTunes and the Canadian Music Centre. 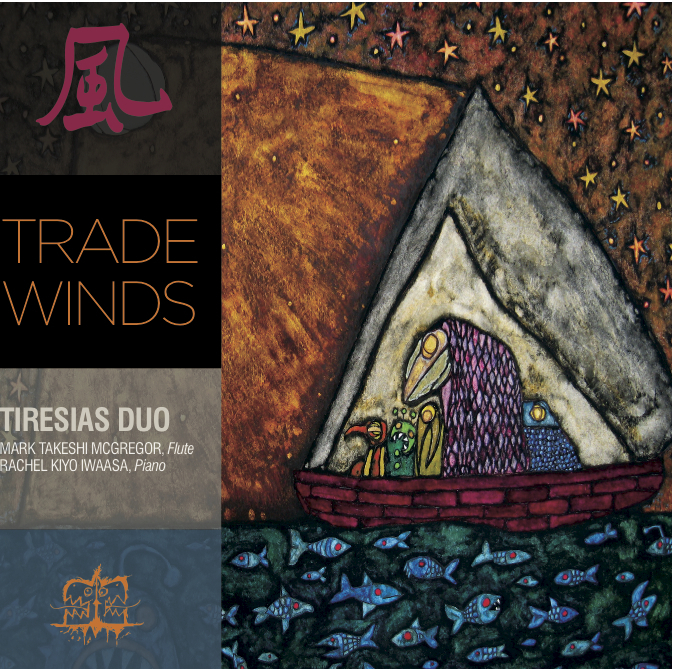 Tiresias Duo’s sophomore effort is, in fact, a double album: Disc One explores the musical ties between Canada and Japan with recordings by Canadian composers Kara Gibbs, Anthony Genge, Elliot Weisgarber, Hiroki Tsurumoto, and Derek Charke; and Japanese composers Jo Kondo and Toru Takemitsu. Disc Two celebrates three generations of West Coast Canadian music with an emphasis on composers associated with the University of British Columbia — Iwaasa and McGregor’s alma mater: Jean Coulthard‘s Lyric Sonatina for flute and piano and Second Piano Sonata; the solo flute music of Paul M. Douglas; and Christopher Kovarik‘s virtuosic Sonata for flute and piano — a Tiresias Duo commission. Trade Winds was made possible by funding from the Canada Council for the Arts, the UBC School of Music, and the National Association of Japanese Canadians. To hear the second movement of Elliot Weisgarber’s Miyako Sketches, click HERE. Trade Winds is available through iTunes and the Canadian Music Centre.